Republicans seemed extremely worried heading into the special election in Ohio’s 12th Congressional District, and while their candidate is in the lead, Tuesday’s election will probably do little to change the mood within the GOP. 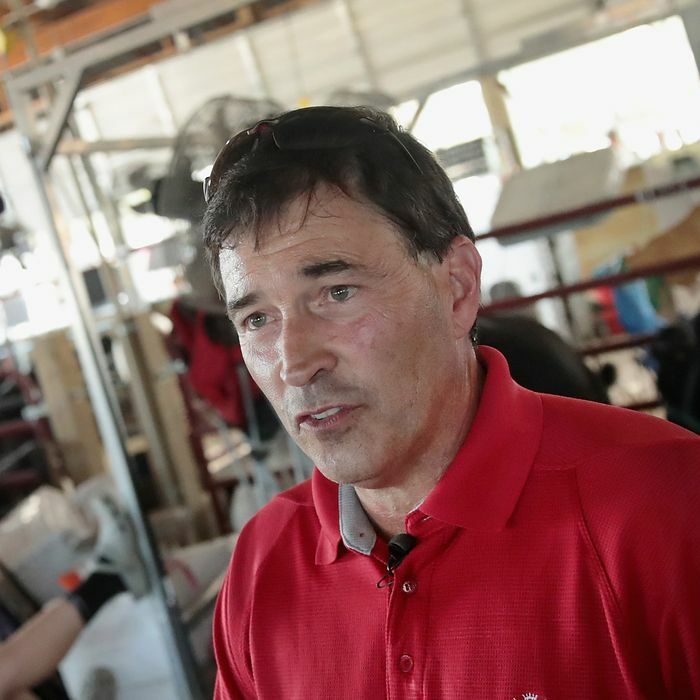 Though the district has been represented by a Republican for decades and Cook Political Report ranks it as R+7, Republican Troy Balderson is beating Democrat Danny O’Connor by less than a percentage point, with 100 percent reporting. Balderson declared victory on Tuesday night, but O’Connor hasn’t conceded and the AP has yet to call the race. Balderson is currently ahead by just 1,754 votes, and Ohio Secretary of State Jon Husted said late on Tuesday night that 3,435 provisional ballots and 5,048 absentee ballots were cast in the race. According to state law, they can not be counted until August 18. If the provisional and absentee ballots drop Balderson’s lead from 0.9 percent to below 0.5 percent, that would trigger an automatic recount. -- But Balderson wins the recount because recounts rarely reverse results unless it's really *really* close. While Republicans were spared from headlines proclaiming a stunning Democratic win on Tuesday night, it’s a bad sign for the GOP that provisional ballots are even entering the discussion in a district Donald Trump won by 11 points in 2016. The race was the last special election before the midterms, and was widely seen as a final test of the GOP’s effort to hold back a “blue wave” in November. Republicans’ narrow lead didn’t come cheap. As the polls tightened in recent weeks, House Speaker Paul Ryan and Vice President Mike Pence appeared in the district, and outside Republican groups poured more than $4 million into the race. President Trump, who held a rally in the district last weekend, promptly took credit for Balderson’s victory in an incorrect tweet (the state doesn’t release early voting results, and the breakdown of early voters by party often isn’t indicative of what happens on election day). It seems Republican Governor John Kasich’s decision to endorse Balderson, who’s running for his old seat, in a TV ad during the campaign’s final week had a bigger impact than Trump’s visit. In the end, Franklin Co. cast impressive 35% of the #OH12 vote & came thru big for O'Connor (D). Turnout was weak in heavily R rurals. But Balderson (R) held onto enough trad R suburbs in Delaware Co., likely thanks to Gov. Kasich (R). Despite their common enemy, Kasich was unable to completely put aside his feud with Trump in the final days of the race. Balderson refused to address Kasich’s claim, and only discussed his awe at receiving an in-person endorsement from President Trump during his final campaign rally. (It’s unclear whether Balderson’s odd decision to insult a third of the district’s voters during that event hurt him in the race.) If there was any doubt about where Balderson stands in the Kasich-Trump dispute, he removed it during his victory celebration. “Over the next three months I’m going to do everything I can to keep America great again,” Balderson said. For now it remains unclear whether Trump’s presence does more harm than good in districts like Ohio’s 12th, which is more suburban and has more educated and affluent voters than the typical Trump district. But Tuesday’s close call is definitely encouraging for Democrats, as there are 79 House races this fall that are considered more competitive than the Balderson-O’Connor match up. And they’ll also have a chance to close the gap in Ohio’s 12th district very soon. The special election only decides who serves out the remainder of former GOP Representative Pat Tiberi’s term, so O’Connor and Balderson will face off again in November.